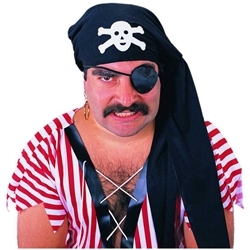 This Deluxe Pirate kit includes: bandana, silk eye patch, and earring. One size fits most. This is definately a great kit to make an instant pirate. Great for Peter Pan. A great buy!